The Galaxy S5 was released for Vodafone in April 2014. It was available in 16GB and 32GB model variants which can be externally expanded up to 128GB. This model was launched running Kit Kat and is now upgradable to Lollipop. 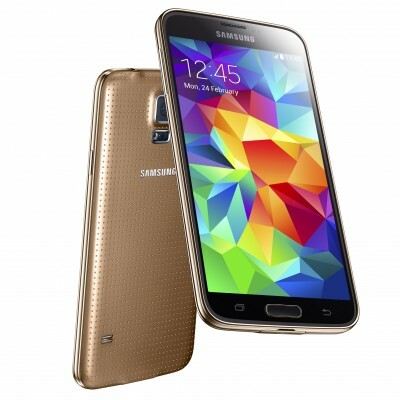 The S5 has a 5.1″ super AMOLED touch screen with Corning Gorilla glass and is IP67 certified. It also has a 16MP camera, 2160p video recorder, and a 2MP front-facing camera and supports dual video calling. The S5 exceeds expectations set from the S4. The quad-core processor provides exceptional speed, alongside the Adreno 330 for a HQ gaming interface. Once unlocked, you can use this device with compatible GSM networks. Unlocking your Vodafone Galaxy S5 is fast, simple and 100% guaranteed by Cellunlocker.net. Unlock your Vodafone Galaxy S5 today with Cellunlocker.net and receive your network unlock code within 24 hours! Why Unlock your Vodafone Galaxy S5 with Cellunlocker.net? Unlock Your Vodafone Samsung Galaxy S5 Today!